After a long day of skiing or hiking how do you feel? For me, it’s a mix of invigoration, accomplishment and sometimes fatigue. Although, it’s hard to predict how I’ll feel by the end of the day, one thing for sure is I’m always ready for some pampering! And that’s exactly where Canmore’s opulent full-service day spas come in. They help you find tranquility and balance within, while rewarding your hard worked body after a trek well done. 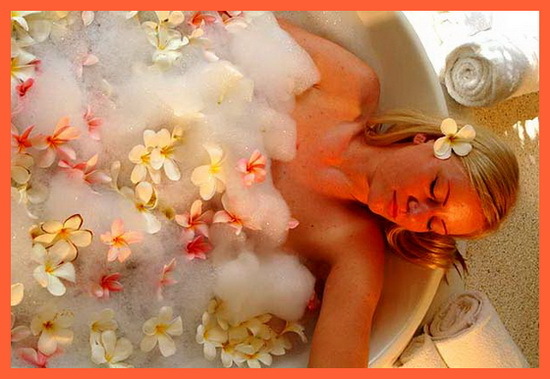 Take a day or two to indulge your senses and rejuvenate your being. Azzuro really believes that when you take care of your physical needs, your self-esteem sky rockets, which leaves you better equipped to tackle the Universe. They offer lots of different treatments, from award winning haircuts, to deep tissue massages, and cutting edge laser technology. This spa is a place to embrace your inner Buddha, and experience a deep, meditative, peaceful ambience. It’s a time to reflect and promote inner peace. The space is beautiful, minimally decorated with Buddhas, devotional decor, infused with mantra music and heavenly scents. They also have a local boutique where you can buy mala beads, precious stones, and spiritual figures. This holistic center is made up of a passionate group of trainers, coaches, body workers and teachers. They are devoted to their practice and will assist you in taking your health to the next level. Their professional system is very special, and works together to balance you to harmony. For example, their trainers work to promote a strong core and center; while their body workers rebalance and realign your energy after demanding work outs; and lastly their teachers promote a still mind and can coach you in meditative practices. If you’ve worked hard and played hard all day, this is the place for you! They help you shift your focus from physical to relaxation. Their expertise treatments allow you to re-energize and focus on the things that are really important. Their fitness center is cutting edge with top of the line equipment. After your relaxing day, further live in the lap of luxury and stay in the vacation home rentals canmore ab.